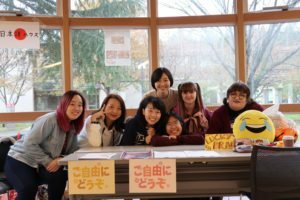 Happy Wednesdays is really fun because it brings international and Japanese students together to talk, and we get to share our interests while practicing our Japanese conversational skills. 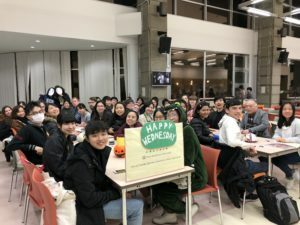 What I enjoy most at happy Wednesday is the atmosphere that international sutudents can communicate with Japanese people freely. 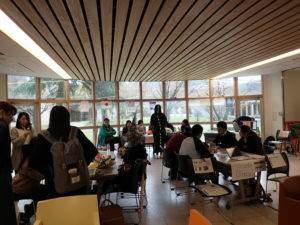 Also,Happy Wednesday gives us a really good environment to practice our Japanese.